June is literally the busiest month for us when it comes to children’s birthday parties. When I was pregnant with A we did NCT class and all of us were due within a few weeks of each other. There were five of us in total, three girls and two boys. Would you believe that all three of our girls were born three days in a row?! The boys weren’t far behind, and both came along within two weeks. For us then, June is a busy month of present buying and outfit planning. And there’s no better excuse for me to pick out some cute new outfits so the girls can get dressed up. I use the excuse that the same new dresses can be packing for holidays. 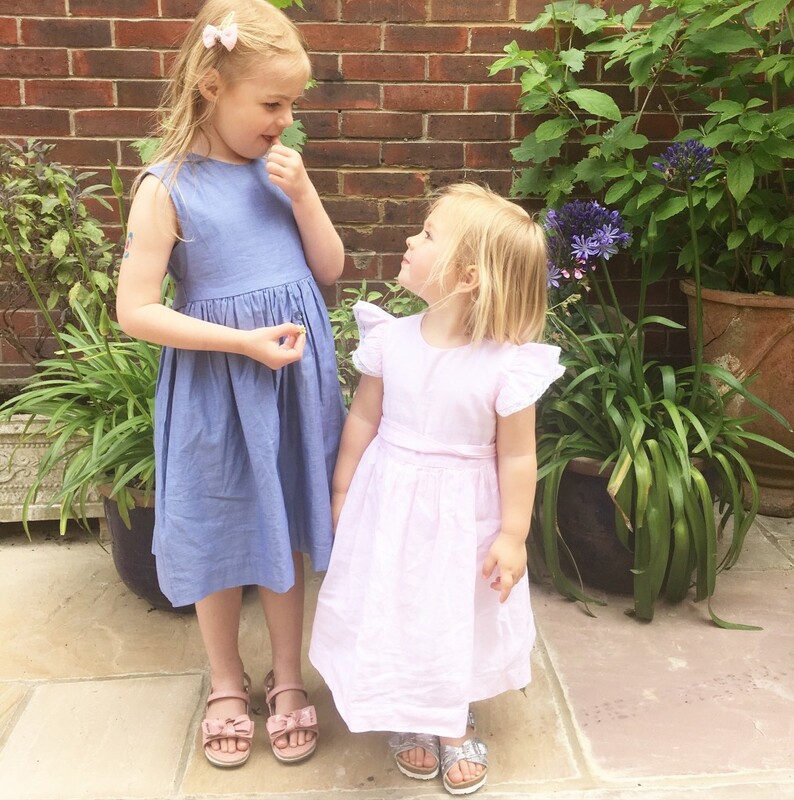 Ali Oli Kids is great when it comes to summer party dresses. Lightweight cotton styles, perfect for warm summer days and endless jumping on bouncy castles. A simple design that is easy to wear and looks chic is my go-to. This summer our new additions (which are currently on sale) feature a pretty pale pink striped style, with sash waist and delicate lace detailing on the sleeves. And a simple blue sleeveless dress, with cute bow-tie-back. I often like to put the girls in the same dress for a party, it’s just rather adorable? But sometimes that same style doesn’t suit them both. In these instances I like to pick different designs that are from the same collection. That way they still look cute for the photos. Jess! Thank you so much for the post! !